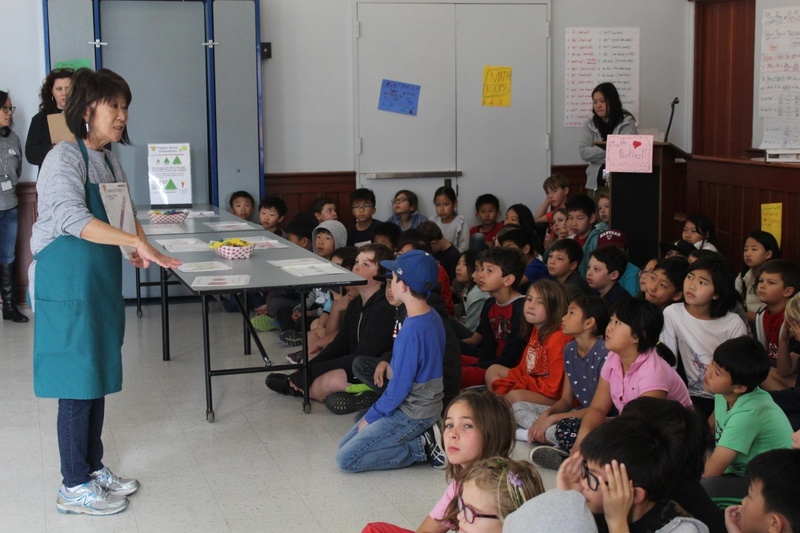 PHOTO: Bill Glazier | SouthPasadenan.com News | Jeannie Toshima, a South Pasadena resident and retired math teacher, speaks to students taking part in the California Math Festival Program at Marengo Elementary School. There was a lot of talk about patterns, XY and Z’s and the use of cubes this week at Marengo Elementary School. Students smiled proudly when they successfully discovered solutions to tasks in front of them, working through a series of algebra problems during the California Math Festival on campus. PHOTO: Bill Glazier | SouthPasadenan.com News | A young students works on a problem during the math festival at Marengo Elementary School. 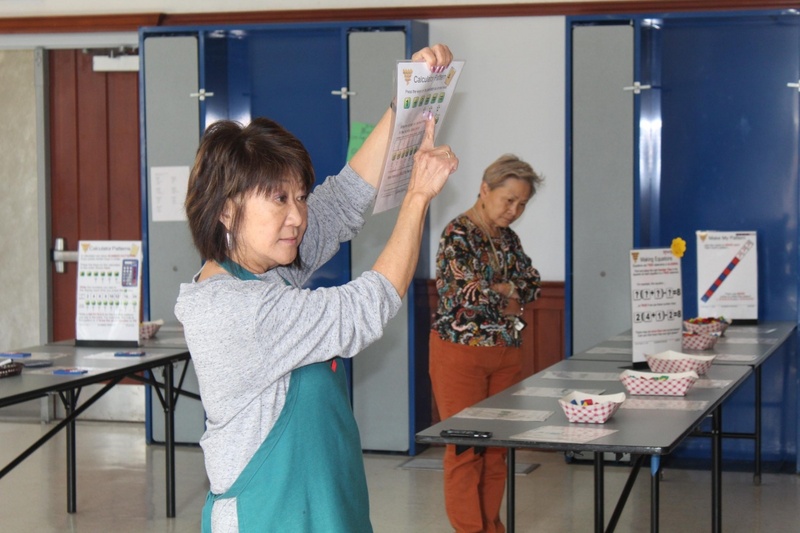 Jeannie Toshima, a South Pasadena resident and retired math teacher who worked for the Long Beach Unified School District and the Los Angeles County Office of Education, helped bring the program to the school. 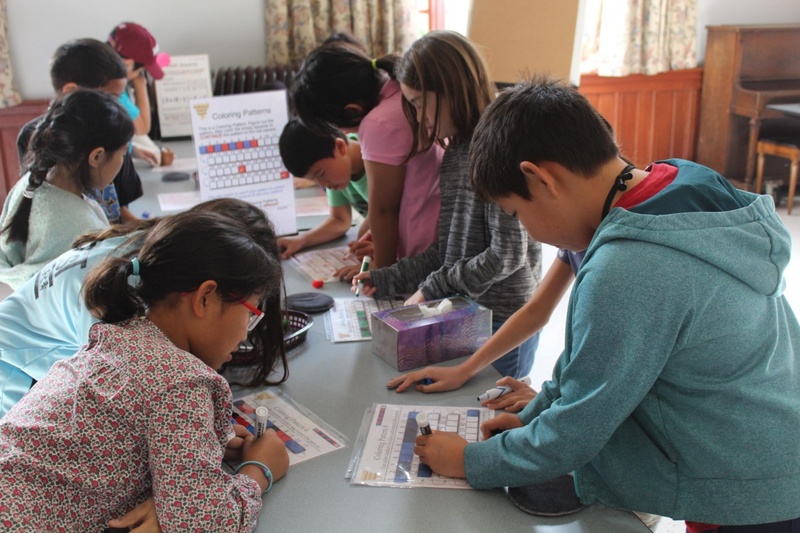 About a dozen different activity stations were set up inside the school’s auditorium, providing youngsters of all ages an opportunity to work on a series of algebra problems. 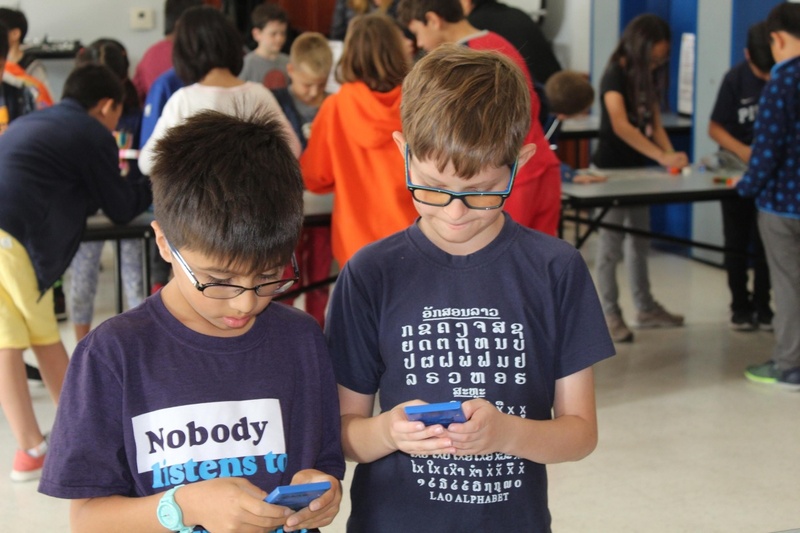 PHOTO: Bill Glazier | SouthPasadenan.com News | Each California Math Festival consists of 12 different activity stations. 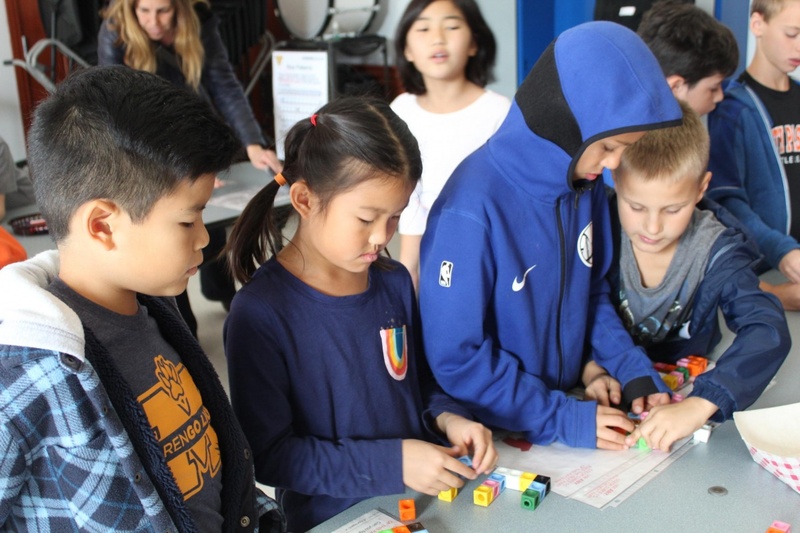 At one station, students gathered in pairs to build algebraic function patterns out of cubes, while at another they were asked to solve simultaneous equations with two unknowns using beans. On the surface, Algebra is the study of mathematical symbols and the rules for manipulating those symbols. 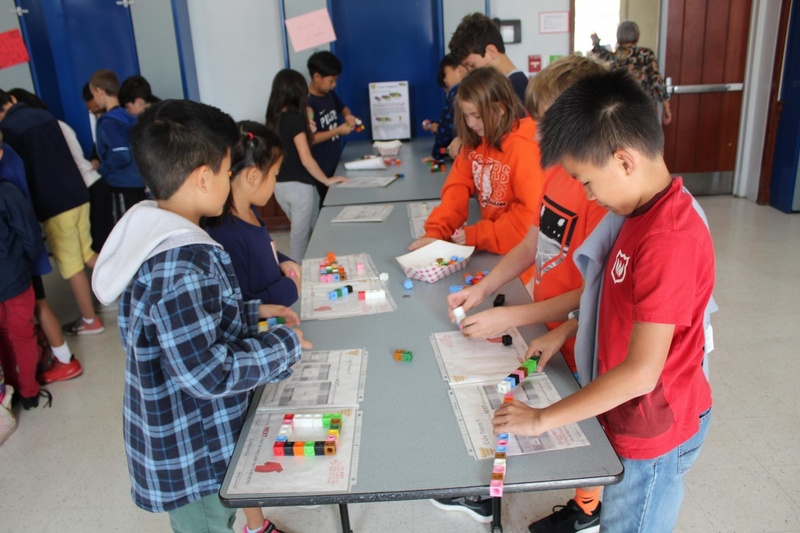 PHOTO: Bill Glazier | SouthPasadenan.com News | Students work together in pairs to build algebraic function patterns out of cubes, while at another station, students solve simultaneous equations with two unknowns using beans. If it seems a bit complex, don’t tell that to the third and fourth grade students during one session, seemingly responding well to the designated projects on the row of tables. Some made it look easy, throwing their hands in air, celebrating their achievement of solving the X’s and Y’s and all the rest. 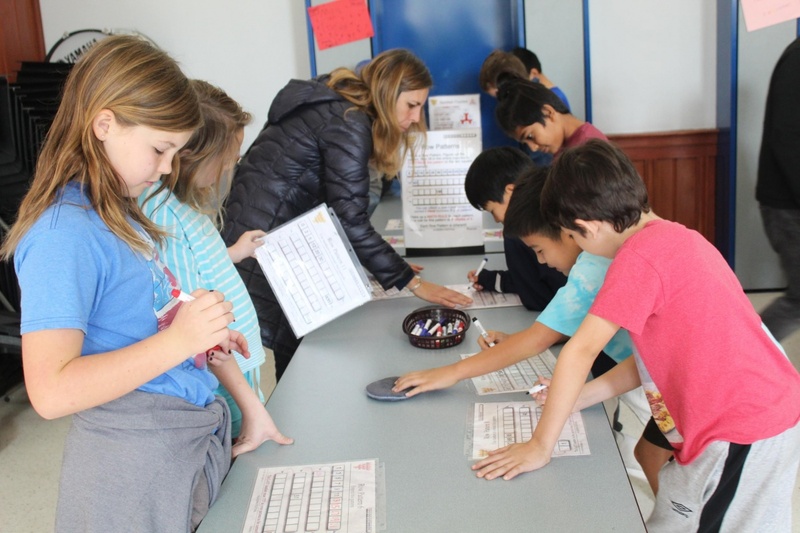 PHOTO: Bill Glazier | SouthPasadenan.com News | Instructor Jeannie Toshima explained to students how the California Math Festival Program works. PHOTO: Bill Glazier | SouthPasadenan.com News | Under adult supervision, Marengo Elementary School Students work on a series of algebra problems at the California Math Festival Program. 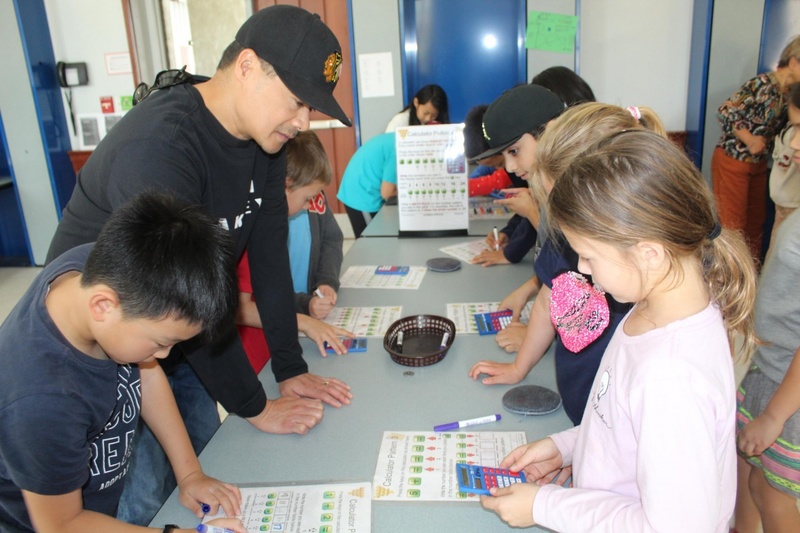 What Toshima, a 27-year resident of South Pasadena, likes most about the math festival is watching the teachers working with the students and the kids working with the math. Each station offered assignments easy for newcomers to Algebra and difficult enough to challenge the school’s top students. PHOTO: Bill Glazier | SouthPasadenan.com News | Students were busy working on algebra problems during the California Math Festival Program at Marengo Elementary School. 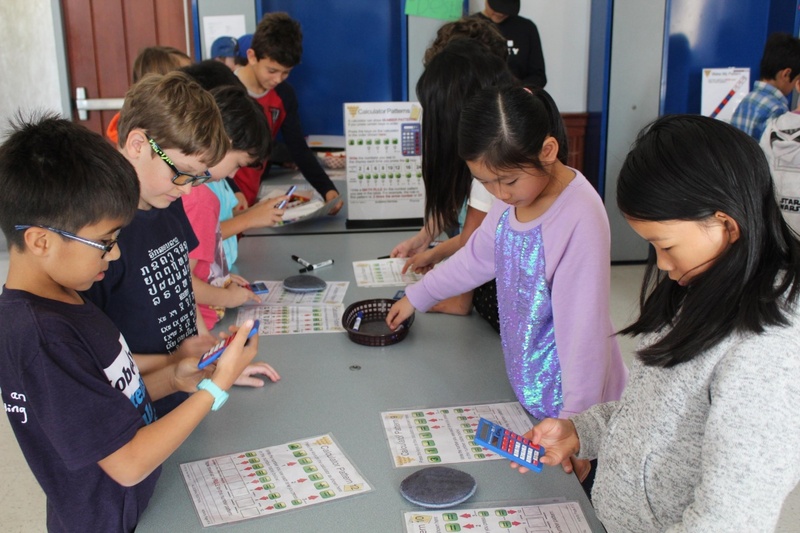 PHOTO: Bill Glazier | SouthPasadenan.com News | Marengo Elementary School students used calculators to figure out math problems. PHOTO: Bill Glazier | SouthPasadenan.com News | Students worked in teams during the California Math Festival Program at Marengo Elementary School.